More than 25,000 federal employees are still awaiting financial compensation for damages sustained during the 2013 government shutdown, nearly one year after a federal court ordered the payments. The delay, according to Heidi Burakiewicz, the attorney representing the plaintiffs in the collective action lawsuit, has resulted from the government having to collect the pay records for the thousands of impacted employees who signed onto the case. The government has hired a third party to handle that process, and to work with Burakiewicz’s team to finalize the formula to detail the payout for each member of the collective action. 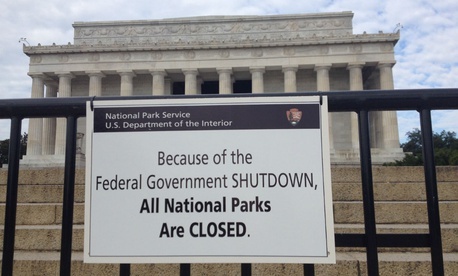 The U.S. Court of Federal Claims ruled in February 2017 that the government must pay liquidated damages “in an amount equal to the minimum and overtime wages” that employees forced to work during the shutdown without immediate pay did not receive in a timely manner. More than 200,000 employees who worked during the shutdown because their salaries were paid from non-annually appropriated accounts or because their jobs protected life or property were eligible to join the case. While their pay was guaranteed, they did not receive it until the shutdown concluded after 16 days. The court initially ruled in 2014 the government had violated the 1938 Fair Labor Standards Act during the shutdown when it delayed payments to the 1.2 million federal workers who were required to report during the shutdown. The plaintiffs will likely receive an amount in the neighborhood of $7.25—the federal minimum wage—times the number of hours worked between Oct. 1 and Oct. 5, 2013, the period in which paychecks were delayed. This amounts to $290 for employees who worked eight-hour days, plus any overtime they are due. After the court’s 2014 ruling, federal agencies were forced to notify hundreds of thousands of federal workers of their eligibility to join the suit. FLSA-exempt workers, such as teachers, nurses and high-level managers, and those who earned more than $290 on Sept. 29 (a Sunday) and Sept. 30 were not entitled to join the case. Those who worked those two days but earned less than that total will see their payout decreased. Last year, the court said the plaintiffs and the government should hold a conference and report on the damages that would be paid out by April. Burakiewicz said that process has been dragged out by the lengthy gathering of pay records. She said there is no timetable for when the payments will be finalized, noting only that the two sides are working collaboratively and discussions are ongoing. The Justice Department has not yet said whether it will draw from its Judgment Fund or if each agency will be responsible for compensating its employees, or if it will use another funding source to make the payments. A continuing resolution is currently funding agencies through Jan. 19, but lawmakers have yet to agree to a budget deal that would set the parameters for a year-long omnibus measure. Burakiewicz said the government would “absolutely” face the same lawsuit and have to once again pay out damages if it again shuts down. The attorney added that ideally lawmakers would avoid another shutdown, but if one occurred she hoped they would change the law that requires about 60 percent of the federal workforce to report to their jobs with only the promise of future back pay.